But he would say that, wouldn't he? Is an iPad a bad business choice? 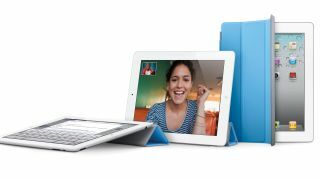 A Dell executive has been quoted bad-mouthing Apple's iPad offering during a briefing with press in Sydney. Apple is seeing a growing number of businesses adopt its iPhone and iPad devices, but Dell's Australia managing director Joe Kremer doesn't think it's a good idea. Referring to Apple's iPad, Kremer said: "People might be attracted to some of these shiny devices but technology departments can't afford to support them." For a long time BlackBerry handsets have been the weapon of choice for most businesses, with excellent email management, secure servers and a reasonable price tag attracting all the right attention. However with the advent of smartphones and tablets, BlackBerry has struggled in recent years to keep up with the competition, with businesses starting to look elsewhere for their tech. Dell is just one of many companies who are prepping Windows 8 devices ready for launch later this year - which will be targeted at both consumer and business markets. It's hoped bgy fans that Microsoft's Windows 8 operating system will power tablets and phones capable of rivalling Apple's dominating range.